Patricia Gallagher spoke today at the National Library of Medicine in honor of Women’s History Month on“’Medicine is a Man’s Game?’—Women Doctors in the Movies.” Ms. Gallagher is a Librarian with the National Information Center on Health Services Research and Health Care Technology (NICHSR) at the National Library of Medicine. Circulating Now interviewed her about her work. Patricia Gallagher: I’m from New York City, was born on what is now Roosevelt Island and raised in Manhattan. I’ve been a medical librarian for over 30 years, working in hospital, academic, and private libraries. Currently, I live in Silver Spring MD, and work for the National Information Center on Health Services Research and Health Information Technology (NICHSR), at the National Library of Medicine where I do research for the Health Services Research Information Central Web Portal, serving the information needs of the health services research community, as well as working with the contractors who maintain our HSRProj and HSRR databases which provide information about ongoing health services research and public health projects. CN: Can you tell us about the work you presented in your lecture, “‘Medicine is a Man’s Game?’—Women Doctors in the Movies.”? PG: I’ve been interested in classic film for some time, and after seeing some early sound films (1932–1933) that involved women doctors, I became interested in the way women physicians were portrayed relative to women in other professions during the same time period. I noticed that, while women in law, in business, in journalism usually left their profession by movie’s end to become happy homemakers, female physicians often stayed in their jobs, while still marrying at the end of the film. My questions became “is this true for later films? And if so, why? What makes medicine different than other professions?” My paper discusses several films from the 1930s, 1940s and 1950s, and looks at them in relation to other films about women professionals. PG: My entire career has been involved with health sciences. During my tenure as a hospital librarian, I was asked to become the “archivist” for the hospital’s papers. They had been relegated to a basement, and my director was horrified by their housing, and brought the documents to the library. After a one semester course in archives, I began to learn more about the history of our institution through the papers. My next job was in a library with a vast historical collection, and, as a result, I found myself becoming more involved in the historical research of our users. My own interest in history and in literature were a huge asset in this endeavor. My own journey in research has been through the history of popular culture. While not always considered serious, I think it is important to realize that the “Literature” that we study today—Shakespeare, Dickens, etc, were originally part of popular culture, not “great literature.” These writers wrote for the masses, not for the intelligencia. Their work survives because they were popular, and in writing to attract the public, these writers told stories that still captivate us because of their inherent truths. The thing that amazes me is how popular films reflect the mores of our culture, but also how they can make statements, or even educate while still entertaining. When I realized that women doctors had a cache that allowed them to continue their work outside the home (in the Hollywood universe), I was astounded. PG: When I first began investigating the career of Emily Dunning Barringer, one of the places I started was LocatorPlus. I discovered this file: “A collection of miscellaneous biobibliographical material on this person, together with abstracts, résumés, etc. of his works, may be found on the shelves under the above call number.” Which included a unique popular article, that really provided insight into the view of the “mass media” into the concept of a woman physician, circa 1902. 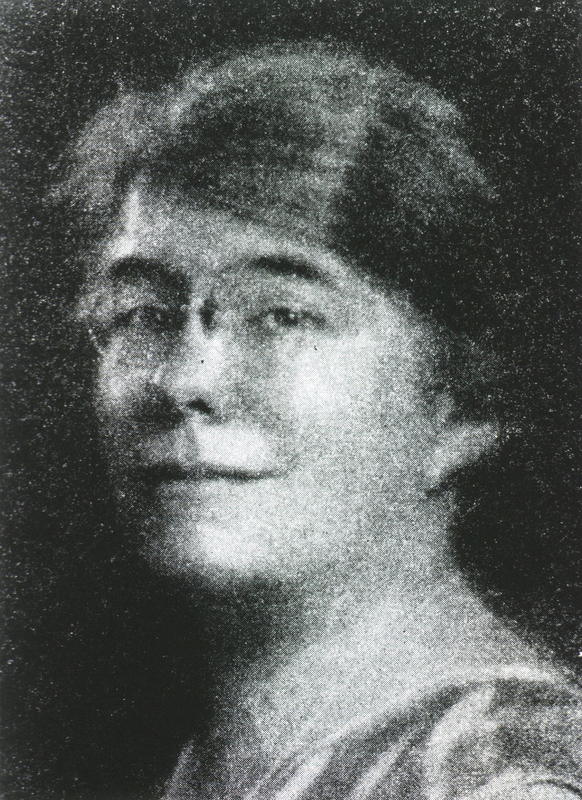 The article was “the first Woman Ambulance Surgeon” by Marian West from a publication called “Everybody’s Magazine” published in 1903 (while Dr. Dunning was in the middle of her residency). This magazine was aimed at a general audience, and it fascinated me that it was such a sympathetic portrait. Yes, she is treated as a rather exotic creature, and there is a lot of emphasis on her looks, but that a woman physician was lauded in the popular press was a revelation. We so often have a vision of how female physicians were regarded, that it is very interesting to see how journalists wrote about “lady doctors”. As with film, you begin to realize that the bias was often much more within the profession itself (from the male practitioners) than from the media, the public, or the patients. 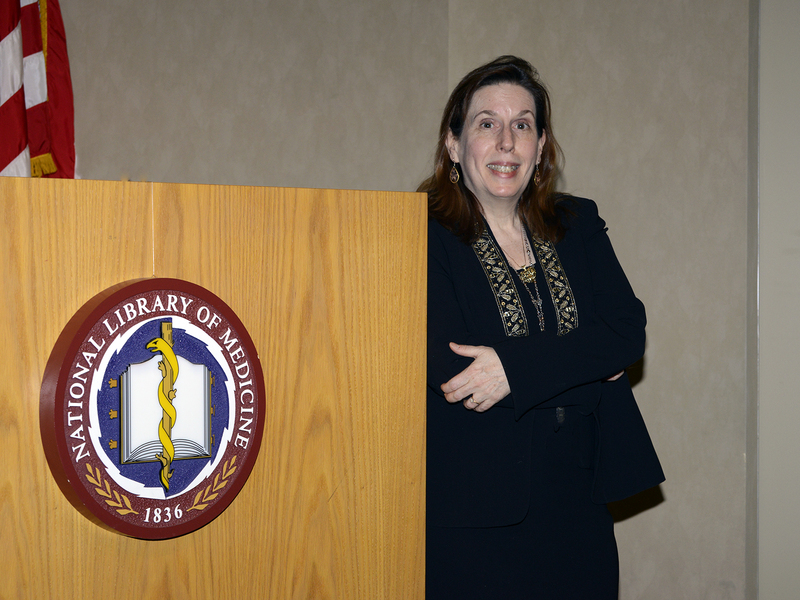 Patricia Gallagher‘s presentation was part of our ongoing history of medicine lecture series, which promotes awareness and use of NLM and other historical collections for research, education, and public service in biomedicine, the social sciences, and the humanities.